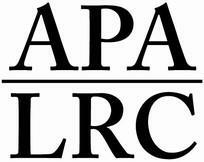 The Asian Pacific American Legal Resource Center (APALRC) located in Washington, D.C. is a non-profit legal services organization dedicated to providing linguistically accessible and culturally appropriate legal services to the low-income Asian Pacific Islander community residing in the District of Columbia, Maryland and Northern Virginia. The APALRC provides legal services on a wide range of legal issues including immigration, family law, housing, consumer, public benefits, employment and community development. The APALRC is looking for energetic and highly motivated legal interns for the Fall and Spring semesters who are committed to advancing social justice through direct legal assistance, legal education and systemic advocacy. Working under the supervision of the APALRC legal staff, the legal intern will assist in conducting intake on the Multilingual Legal Helpline, conduct research on legal issues affecting the AAPI client community, and assist the legal staff with case preparation. Legal interns may also be involved with community legal education and outreach projects. • Initiative and the ability to multitask and meet deadlines. • Experience working with immigrants, low-income individuals and those with limited English proficiency. • Fluency in an Asian language, particularly Chinese (Mandarin or Cantonese), Korean, Vietnamese, Indonesian, Hindi or Urdu strongly preferred. How to Apply: Submit a cover letter detailing your interest in the position and work experience, along with a résumé in PDF format to admin@apalrc.org with the notation of “Intern Application” in the subject line and specifying the semester during which you would like to intern. No telephone inquiries, please. Prospective legal intern candidates will be contacted via e-mail regarding the status of their application on a rolling basis. APALRC is an Equal Opportunity Employer.